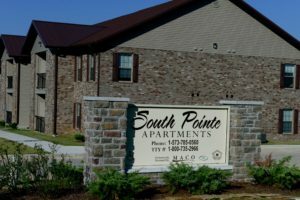 On September 20, 2016, the Grand Opening was held at South Pointe Apartments in Poplar Bluff, MO. This development is a partnership between the MACO Companies and Family Counseling Center, Inc. 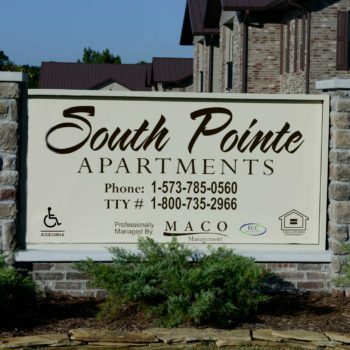 The funding was made possible by the Missouri Housing Development Commission and Affordable Equity Partners, Inc. 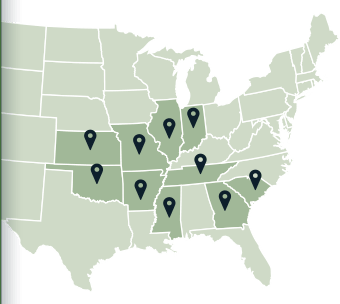 Without the help of these agencies, the construction of this new community in Poplar Bluff would not have been possible. 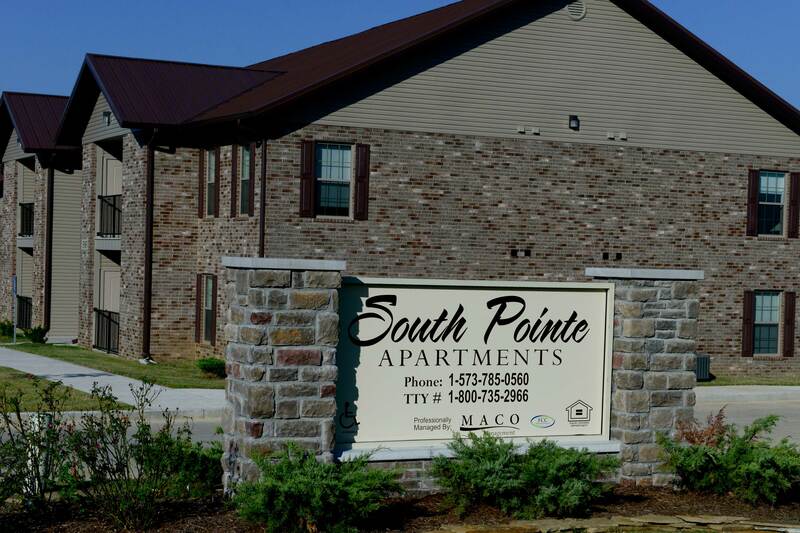 South Pointe Apartments is comprised of 48 two bedroom, two bath apartments. The exterior of the apartments are brick and vinyl. Each apartment has a covered entrance and a rear patio or balcony. The apartments are constructed utilizing high grade, low maintenance materials that will provide a clean, safe, and affordable living environment. The master bedroom has its own bathroom facility while a second bath will be accessible from the hallway near the second bedroom. The kitchen is equipped with a range, range hood, refrigerator, garbage disposal, and a laundry closet with washer and dryer hookup. High quality carpet covers the floors in the bedrooms, hallway, and living room, while the kitchen and bathrooms have vinyl flooring. Each apartment has its own high efficiency furnace, central air conditioning, and well insulated water heater. The lawn area is landscaped and includes park benches, barbecue grills, and playground equipment for the enjoyment of the residents.